Trigger warning (and spoiler alert): This post mentions pregnancy and baby loss as well as giving away part of the plot to the final episode of BBC’s Poldark. In any normal week I would have been furious at a story that even hinted at the plot of the final episode of Poldark, which I’ve been watching for seven weeks, let alone one that completely gave it away. But this is no ordinary week. Had everything gone to plan with my first pregnancy, we would be celebrating our boy’s third birthday today. I’d probably be stressing that the train cake I had ambitiously declared I would make looked awful and tasted worse or bemoaning the fact that he’d already spilt something down the new outfit I’d saved especially for his party. 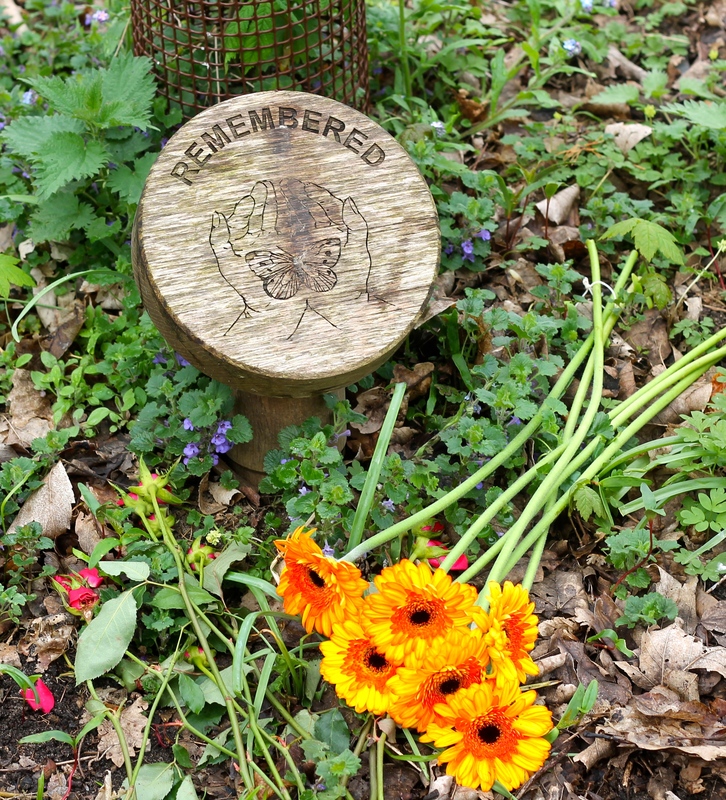 Instead, on Sunday we paid a visit to the woodland burial ground to take him some flowers, which Freya eventually, reluctantly, relinquished. Even after several years, the pain still feels raw around anniversaries and my emotions are a closer to the surface, so the last thing I wanted to do was to needlessly upset myself more by watching Poldark, in which, according to the spoiler which I was grateful for, his baby daughter dies. I decided to be kind to myself; at least right now, this week. It’s not as if it really matters, it’s just a fictional television programme, but some things in the real world you can’t, and perhaps shouldn’t, hide from. They make you ask hard but valid questions and I can’t help but think that is part of an ongoing grieving process. Both my husband and my mum mentioned recently that they had been touched by the story of baby Teddy, who became the UK’s youngest organ donor. He had anencephaly, the same rare and fatal condition – where the brain and skull do not develop properly – that our son was diagnosed with when I was 12 weeks pregnant. I admit I had seen the headline but purposely hadn’t read the full article at that point. While their story is very different to our story, I think the photo of Teddy in his mother’s arms got us – mother, father and nan – all thinking about what might have been, re-analysing the decisions we made and wondering about our baby’s legacy had things ended differently. While my head knows I made the right choices, my heart still struggles. It also reminded me that while I was the one who was pregnant, I am not the only one who suffered, and still suffers, the loss. 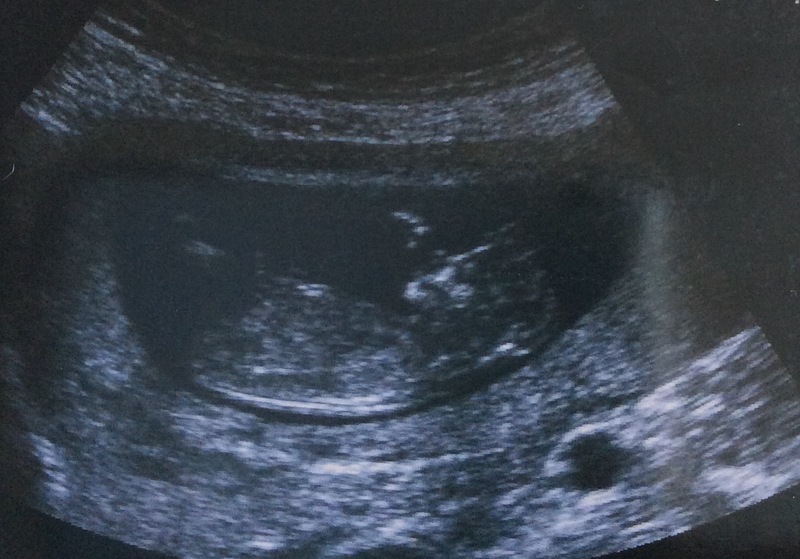 While we had no chance for cuddles or a proper goodbye, we do have a photo, of sorts – from the 12 week scan – but I only got that after a conversation more than a year after it all happened. It didn’t occur to me to ask for one at the time; there were other, more pressing, things to think about. 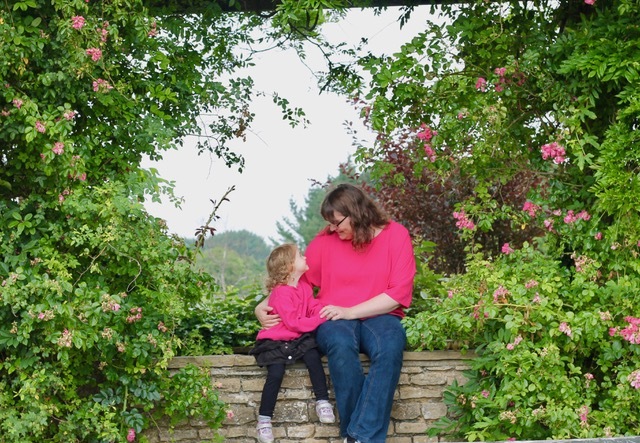 And once we had decided to follow the medical advice and end the pregnancy at about 13 weeks – no matter how much we wished it could all be different – there was a period where I just wanted to pretend none of it had happened, that it had been a nightmare I had woken up from. Months afterwards though, when I had acknowledged the complicated emotions mixed up with the decision, I regretted not having something tangible to show he hadn’t just been in my imagination. To get a copy of the scan, I had to submit a Freedom of Information (FOI) request, which I was more familiar with in my work as a journalist – although anyone can put one in to a public sector organisation that keeps records. In this case I filled in an official form and paid £10, I think, to be sent a password protected CD. The day it arrived I remember steeling myself as I pushed the disc into the computer. How many scans had been included? Was I ready to see his poorly head again? What if they had put other images on there? Images I never wanted to see again. Having suffered mild Post Traumatic Stress in the aftermath, I was fearful about whether this was actually going to do more harm than good. As it turned out, I had nothing to worry about – although I do wonder firstly how many other people would like a copy of the scan if they have lost a pregnancy early on but don’t know they can apply for one and secondly whether there could be a less impersonal way of going about it. Occasionally people find After The Rain by searching for anencephaly so I thought I would create a page, which I will continue to build, with safe resources for parents who have made the same heartbreaking choice. I also worked with the hospital to try and ensure there is better (or at least some) aftercare for families in a similar position and I continue to tell our story here and to kind people like, Leigh, who also want to make a positive difference. It feels like I’m creating his legacy, albeit not as wide reaching as baby Teddy. I decided to use one of the scan photos on my new page. There are lots of photos of Freya so it seemed only right that he featured too. And I thought I would post it here, today, as a way to commemorate this anniversary. 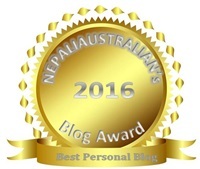 I’ve also donated in his name to the Disasters Emergency Fund Appeal, to aid those suffering after the devastating earthquake in Nepal, as we can’t buy him a present. Happy birthday, little man. You are loved. Previous postMeal planning: the good, the bad and the money saving. Next postMy five day denim free challenge: The results. What a fitting tribute to a dear little one who was so cherished. I love the image of Freya and find it wonderful that she is involved in keeping such important family memories honoured. I can only imagine how cherished those scan photos are, so glad you were able to get them. Like you, I feel there must be a more understanding and compassionate process that could be followed to support families following baby loss. 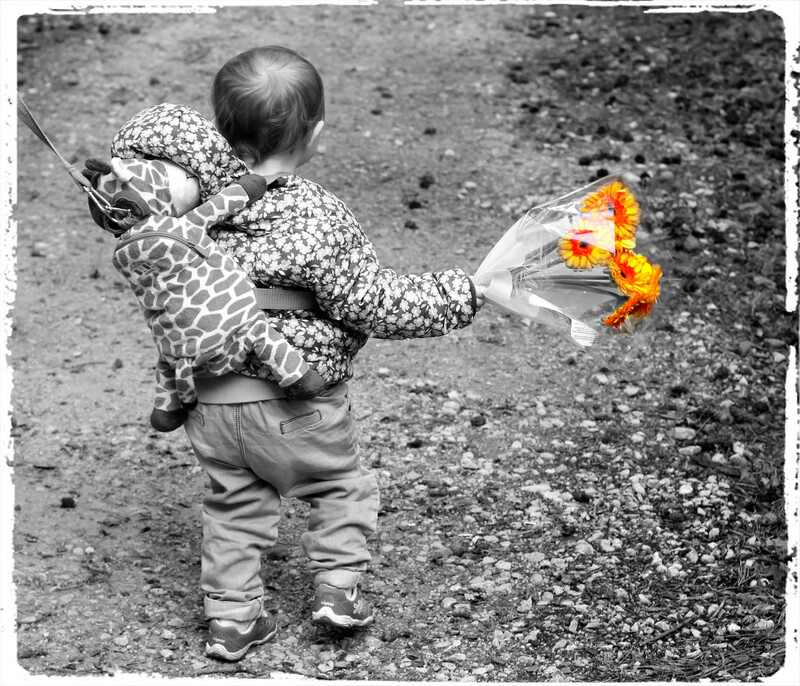 We have a fantastic local charity in Cambridge – Petals. I’ve seen them put my best friend back together again after still birth and she’s now a fund raising queen on their behalf. I’m hoping to be actively involved with several projects over the year. I’ll raise your point about access to scan photos to her if that’s ok? as she’s now on the committee. I’m so sorry for your friend. Thank goodness she was able to access support. I’ve just had a look at that charity, it really is fantastic. I hope they can raise money to increase the area they cover, it’s so important. I’m going to add them to my page for those who are Cambridge-based. Please do mention the scans to your friend. I wonder how many people would think to FOI for them but I really find comfort in having it. Yes, I had to pay for counselling (I was very lucky in the end because my work then picked up the bill through its occupation health scheme). I was offered a stress reduction course on the NHS but I wasn’t stressed, I was sad! Counselling saved me. So important. Isn’t that just the saddest thing. I’m even more determined on the fundraising front now. Nobody should have to pay for that help. Oh Tara, I am in tears, such a moving beautiful post with such gorgeous pictures. You are so brave sharing and what a lovely way to spend a day to remember your little boy. I admire you, helping others and sharing what must be really difficult to think about, let alone share, making a real difference to those who are going through dark times and really need support and advice. Inspiring.